Kenneth Rollo Nunamaker was born in Akron, Ohio in 1980. He worked professionally in commercial art his entire life and never attended an art school. Delighting in the out-of-doors, Nunamaker traveled east to the Delaware River in 1918. 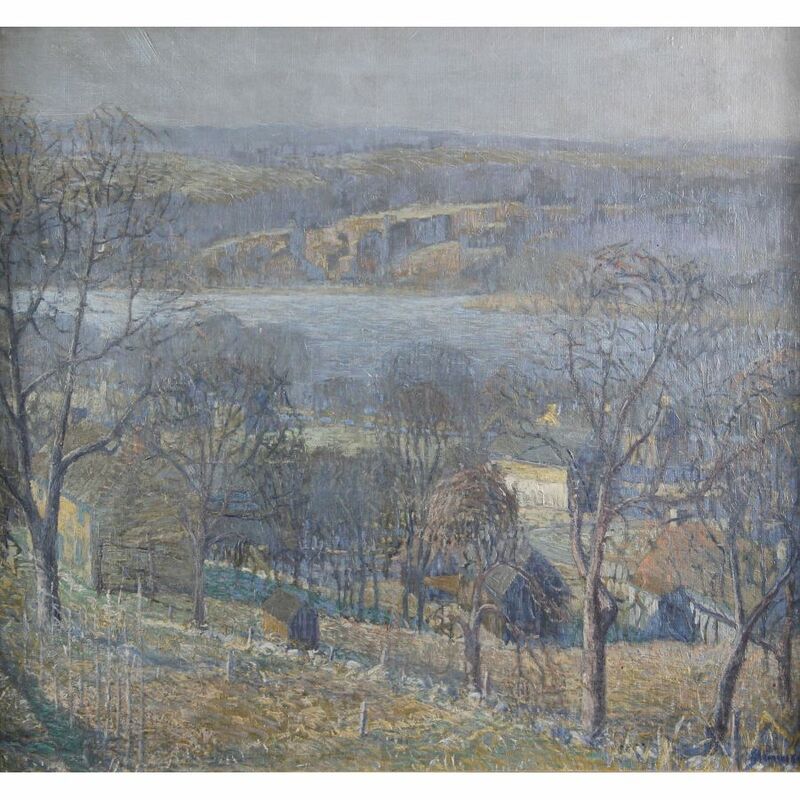 He bought property nearby Edward Redfield in Center Bridge in 1923, remodeled his charming home for his family and built a studio on the hill. Edward Redfield became a mentor to Nunamaker, meeting with him and reviewing his work weekly. Nunamaker also became friends with Daniel Garber and other members of the New Hope Circle. 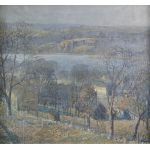 He painted landscapes of the surrounding areas of New Hope and coastal views at his summer homes on Monhegan Island, Maine and Lake Champlain, Vermont. From the time of his arrival in New Hope, Nunamaker's work hung in many local galleries and prestigious institutions throughout the world, including the International Gallery in Venice, The Corcoran Gallery of Art, National Academy of Design in New York, the Art Institute of Chicago and the Pennsylvania Academy of the Fine Arts. oil on canvas, 22 x 24"